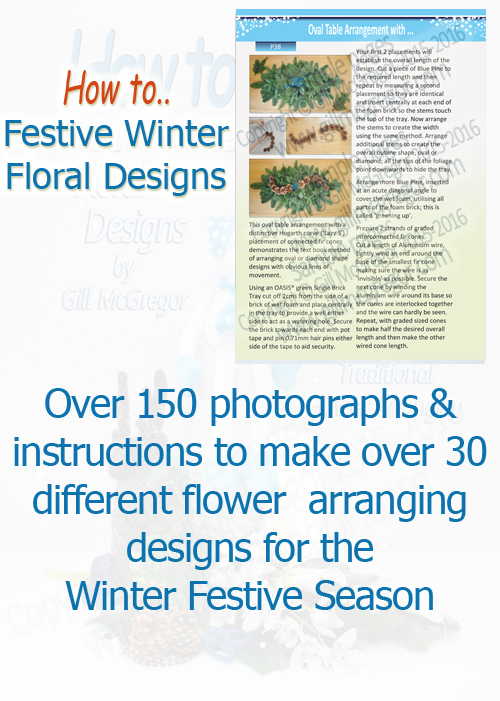 ISBN 978-0-9929332-2-7 First Published October 2015. 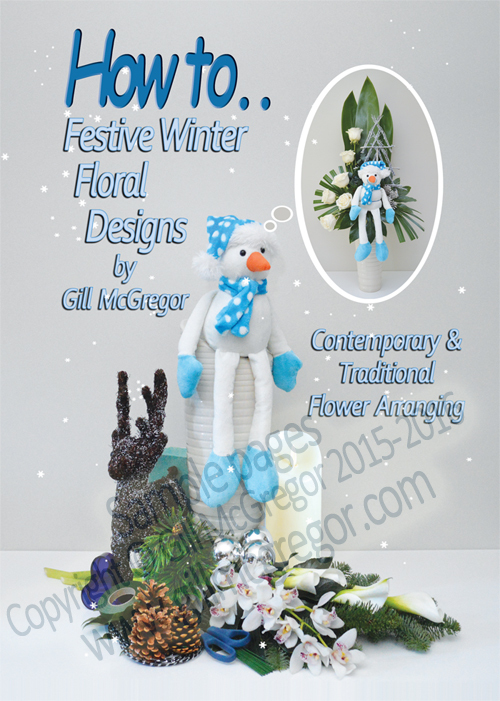 A new Flower Arranging book with a range different flower arranging designs for the winter festive season for flower arrangers - with a mix of both contemporary flower arranging and traditional flower arranging arrangements. 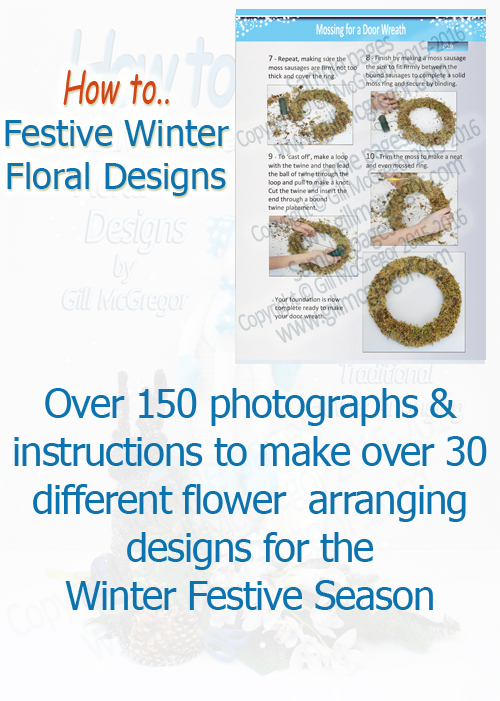 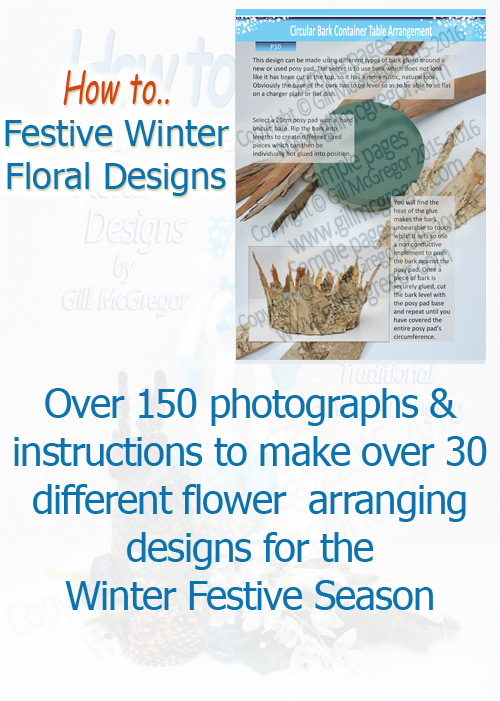 A ‘How to..’ make Winter and Festive Designs Book has been created to satisfy the many requests that Gill has received from Flower Arrangers who asked her to write a book about how to make Festive arrangements. 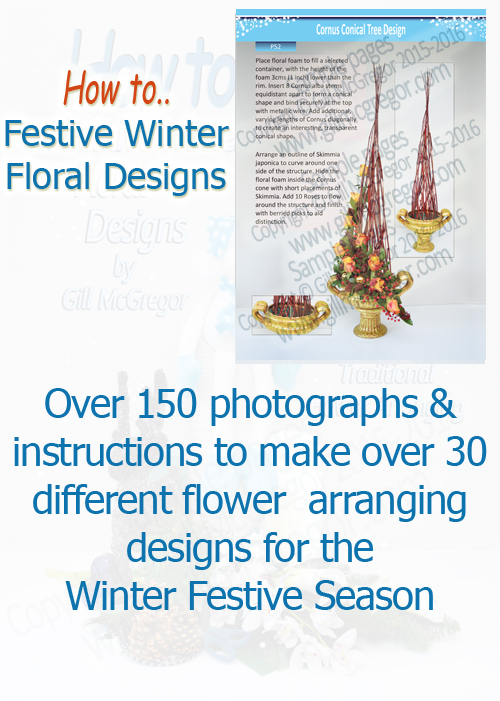 The designs incorporated are a range of both Contemporary and Traditional ideas with a host of pictures and narrative to explain their construction. 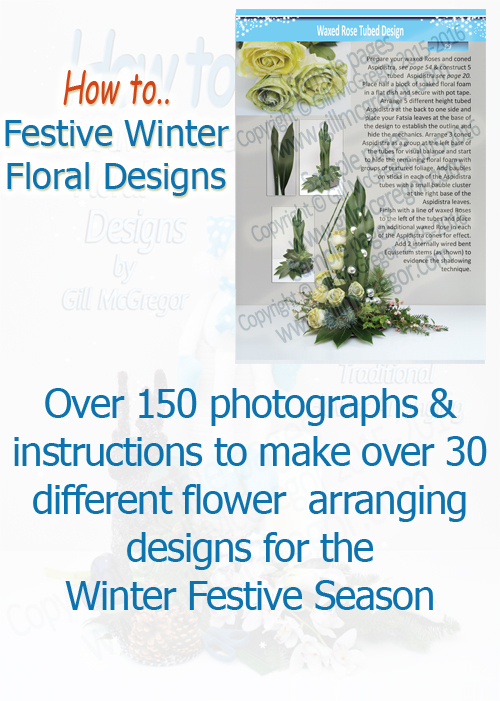 Flowers in the home just lift those cold, dark days over the winter season. 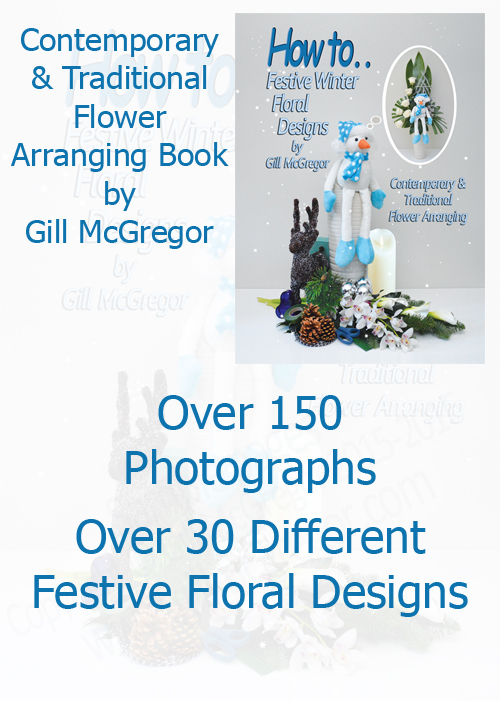 A Festive Flower Arranging Book from Gill McGregor - an experienced Flower Arranging Teacher, Flower Arranging Demonstrator and Floristry Teacher, who has specialised in Contemporary Floral Design and knows how important it is to include Contemporary techniques within floral designs to create Floral Designs with distinction. 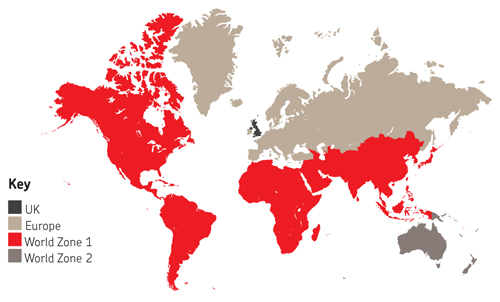 €11.99 + Untracked postage in Europe - other country's postage varies.